Brushing the teeth is essential for good oral health, but it can leave plaque along the gum line and between the teeth, increasing the risk of periodontal issues, like gum disease. Flossing is one of the most effective ways to remove plaque from between the teeth, where brushing alone can't reach, and reduce the risk of gum disease. For those with minor to significant periodontal issues, advanced periodontal treatments from our team at Cosmetic Dentistry of New Mexico can restore gum health to help get your overall oral health back on track. Although treatment is available, it's best to prevent periodontal issues to before they start. Flossing is one of the best ways to do this. Drs. Byron W. Wall and Audra Martinez explain the importance of flossing during patient consultations at their practice in Albuquerque, NM. Today, we'll take a brief look at the importance of flossing and why you should add flossing to your daily oral hygiene routine. Plaque is a sticky film made of food remnants and bacteria that builds up on the teeth. This material is a leading cause of tooth decay and gum disease. When plaque is left on the teeth, it can harden into tartar. As plaque and tartar collect at the gum line, they can lodge between the gums, creating a gap, or “pocket,” between the teeth and gums. Once a periodontal pocket forms, more plaque and tartar will collect within the pocket, exposing the structures below the gum line to tooth decay and infection. Preventing plaque and tartar buildup is essential for protecting oral health. Brushing the teeth in the morning, before bed, and after meals helps remove plaque from the surfaces of the teeth, but it can leave plaque buildup in hard to reach areas, specifically between the teeth and along the gum line. Flossing is one of the most effective techniques for removing plaque in these hard to reach areas, before plaque can become tartar, making it important to include in your daily oral hygiene routine. 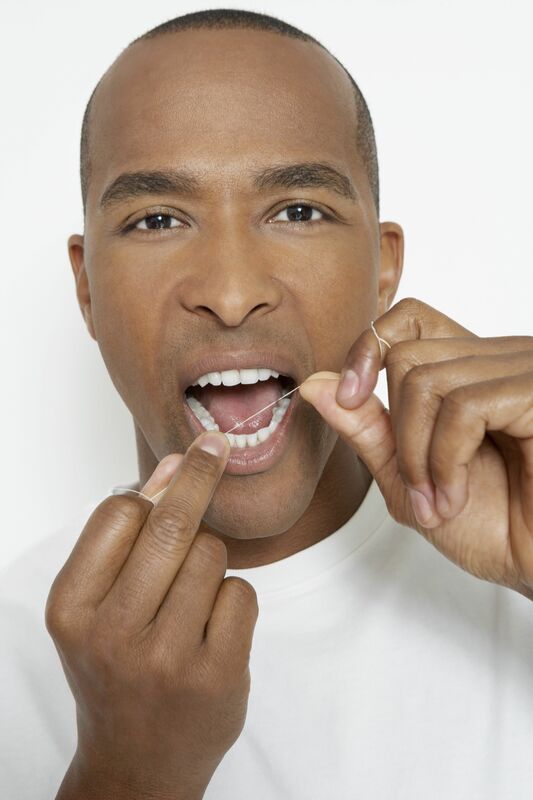 Flossing helps protect both gum health and dental health, making it important to everyone's daily oral hygiene routine. Floss can slide beneath the gums and between the teeth where the bristles of a toothbrush cannot reach. This helps prevent plaque from collecting on the teeth and turning into tartar. Reducing plaque and tartar buildup reduces the risk of periodontal pockets, gum disease, and tooth decay. For more tips on flossing, or for any other dental care needs, we welcome you to schedule a consultation with Dr. Wall or Dr. Martinez.